Given the statements above, the Progressive Labour Party is shocked at the blatant disregard that the One Bermuda Alliance has shown towards the electorate. Despite the strong denials by their leadership before the election, just 6 weeks into their term, the OBA government announced that they have abolished term limits with immediate effect. What happened to the promised suspension for 2 years? What happened to the promised review? If the OBA Government will move so quickly to break such an important election promise, we must all question what other promises are set to be broken? We reiterate our demand made on 4 January that the OBA needs now to provide the public with details of an enhanced work permit framework. What measures will be put in place to ensure equal opportunity for Bermudians in the workplace? 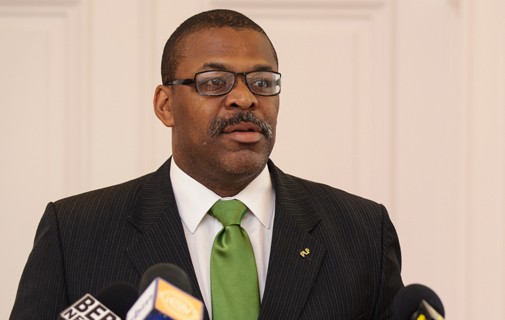 Thus far the new government has moved more swiftly to turn their backs on campaign promises rather than provide assurances or solutions for the Bermudians seeking job opportunities.